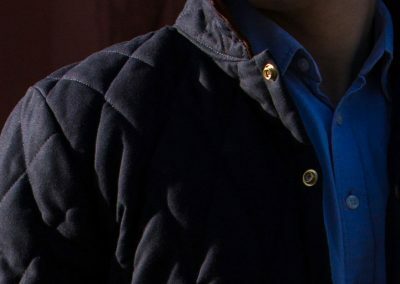 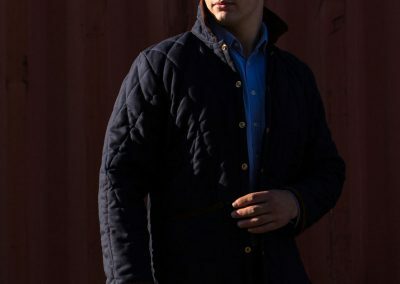 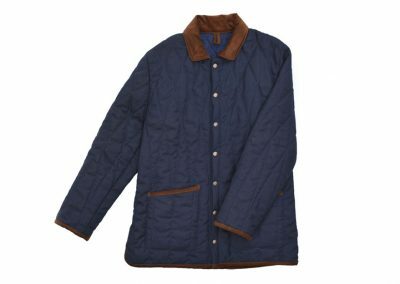 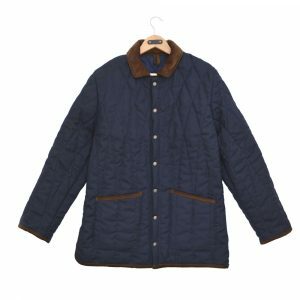 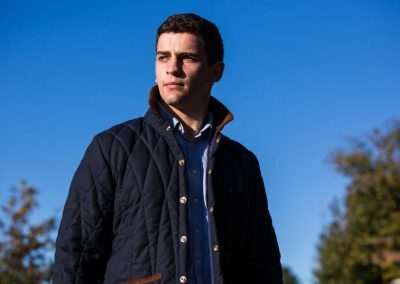 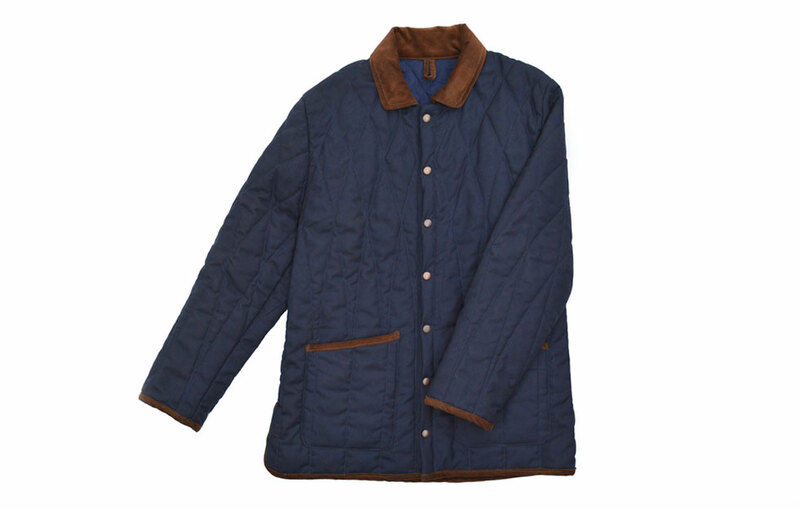 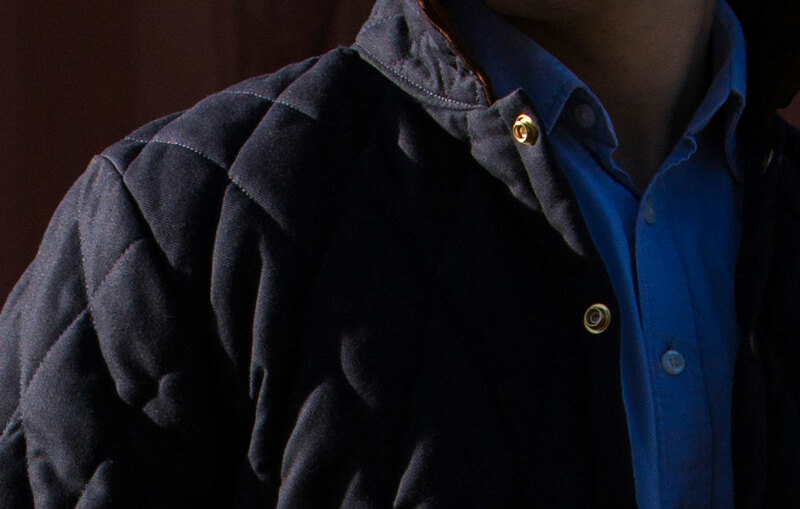 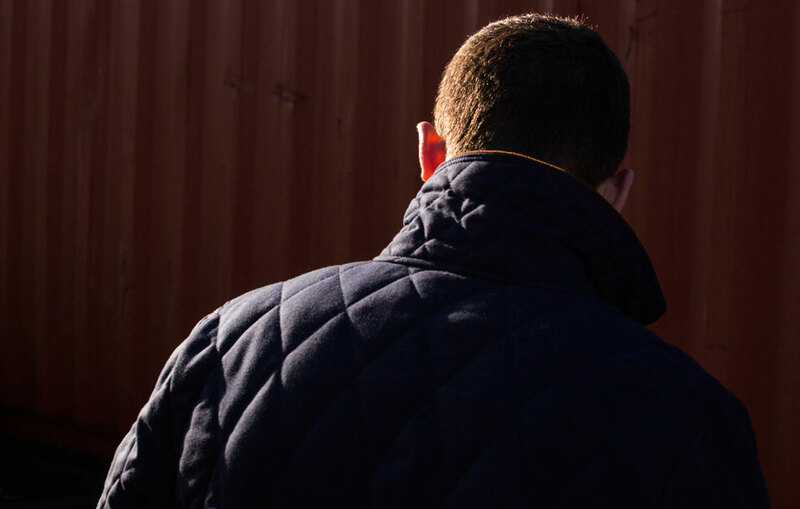 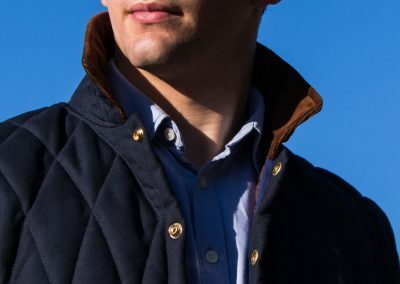 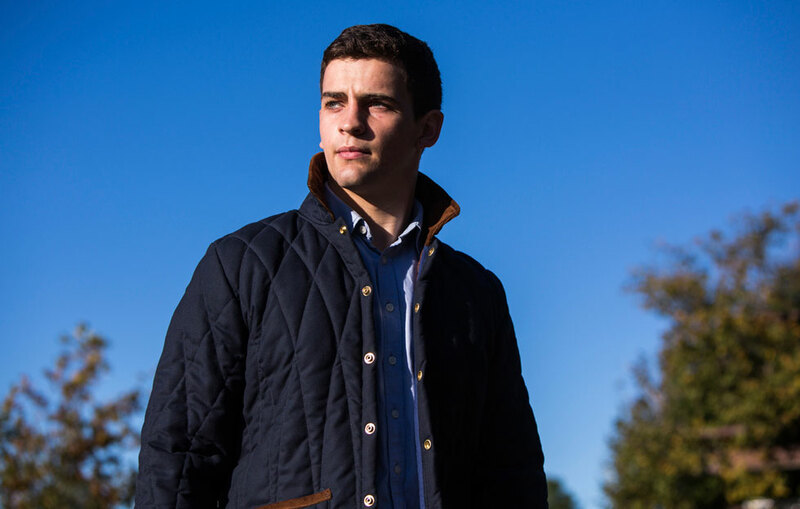 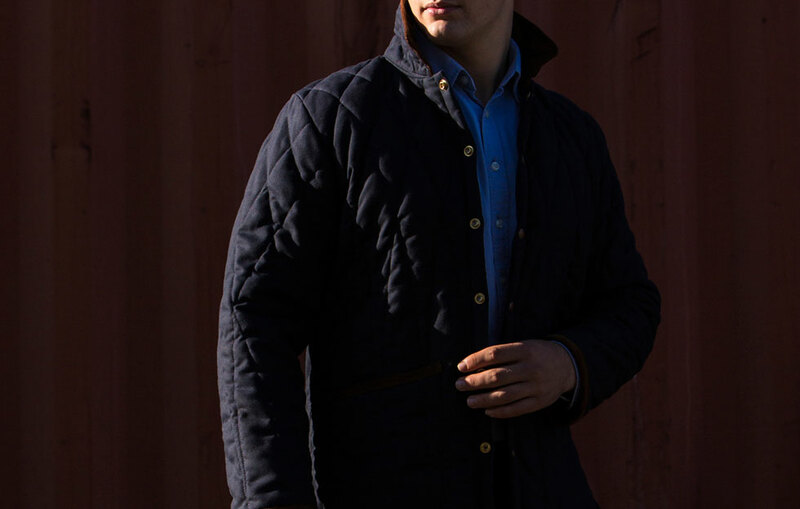 This Jacket is handmade in cotton and features the DE BRUIR signature quilted pattern. 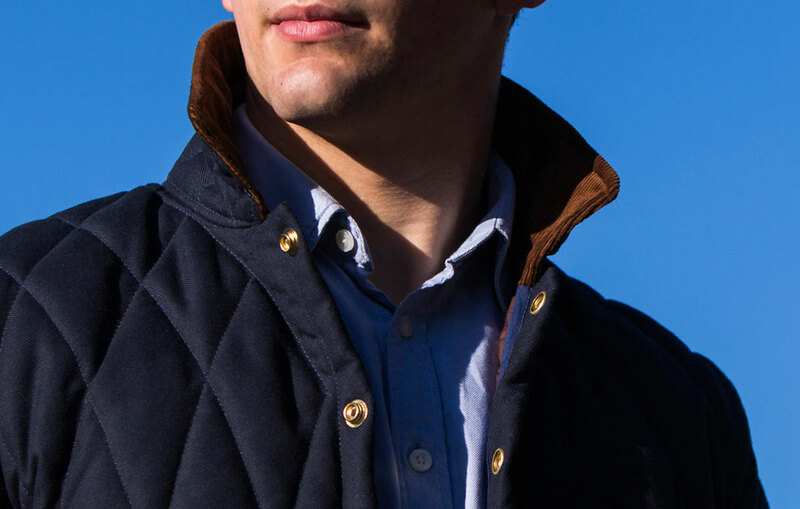 The navy cotton twill combines with a light brown corduroy collar. 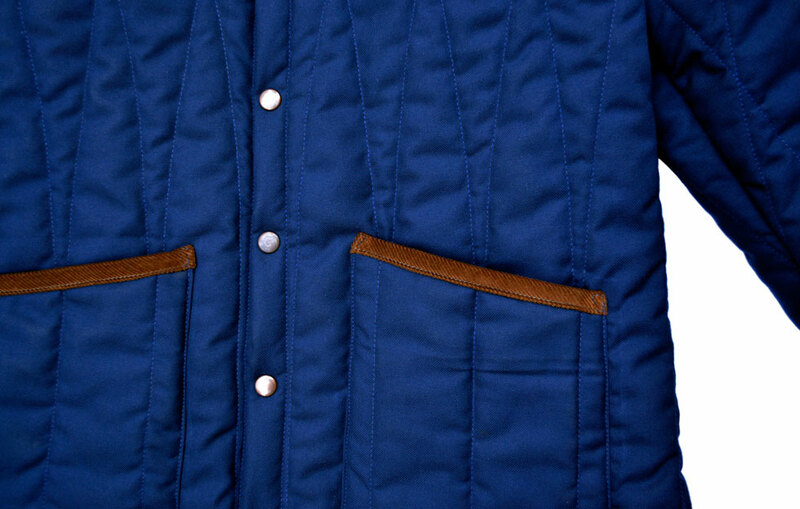 It has a button-down front and generous front pockets. 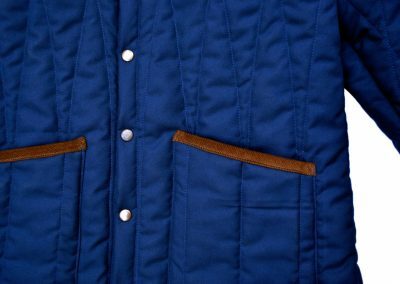 There is also an inner breast pocket.